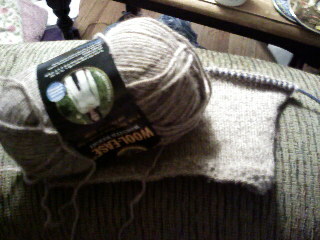 Poor Hunter's sock...he'll be grown before I finish it. 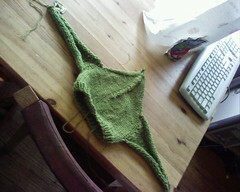 And then there is the ms3...a year later I'm to the short rows for the wing and Hurry up Sweater...which while took EZ a week or so....well I'm going on a year now. 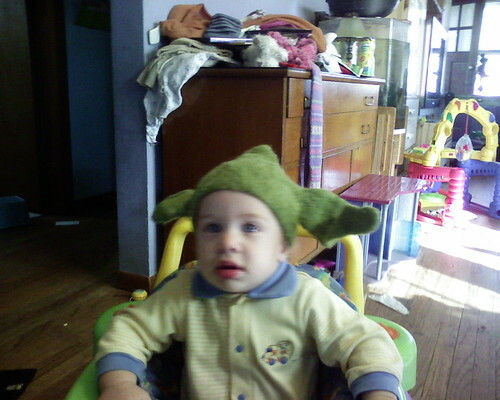 I love the Yoda hat - he's adorable in it! I'm starting the February sweater in December in a class at my LYS - can't wait! Happy to add you to my blog roll.